Thanks for your kind kind words on my Dancing Daffodils quilt. Today I will share with you a little trick I use sometimes to mark my quilt while quilting without actually marking the quilt. 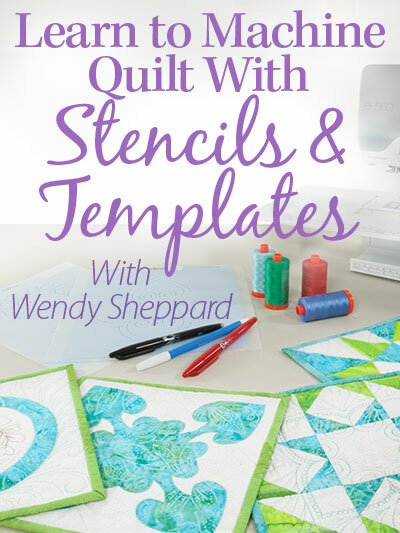 I like to use this trick for quilting simple but definite shapes on my quilts. 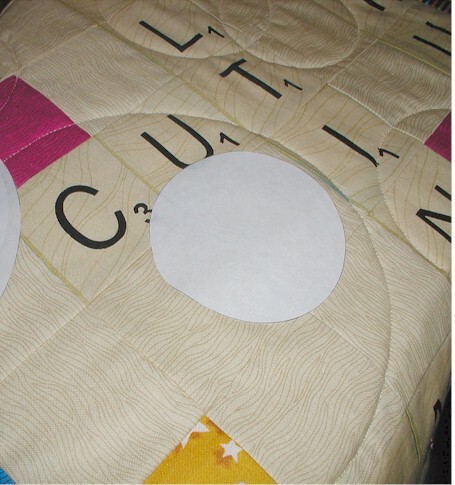 Inspired by the random circles, I decided that’s how I would quilt my Scrabbles Night quilt. Instead of drawing a bunch of circles on the quilt top, I drew a few circles of different sizes on a piece of freezer paper, and cut them out. I then placed a freezer paper circle on the quilt sandwich, and dabbed my iron ever so lightly on the freezer paper to set the placement. The freezer paper temporarily adhered to the quilt top very well while I quilted around the shape. Notice I said “DAB” the iron – you don’t want to press your iron down so hard until the heat harms the batting. Now you might want to be EXTRA careful if you are using polyester/silk/wool batting. DO A TEST SAMPLE, always!! After I quilted the circle on an area, I simply peeled off my freezer paper circle template, placed it on another area, dabbed with my iron, and quilted again. Easy peasy. Here is another quilt I had quilted with the same method. 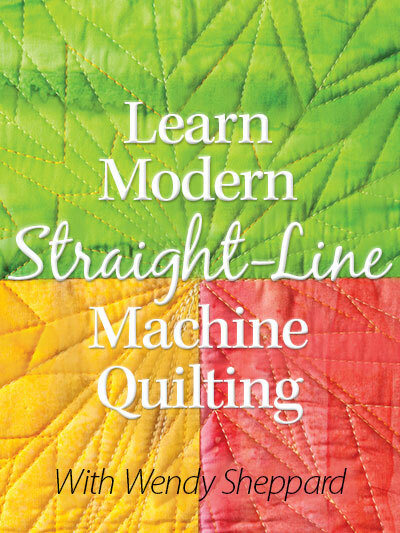 This method also serves as a great exercise to train yourself in following the line while free-motion quilting. That’s all for now. My non-quilting friends, you are probably surprised to hear that freezer paper for more than just meat wrapping. 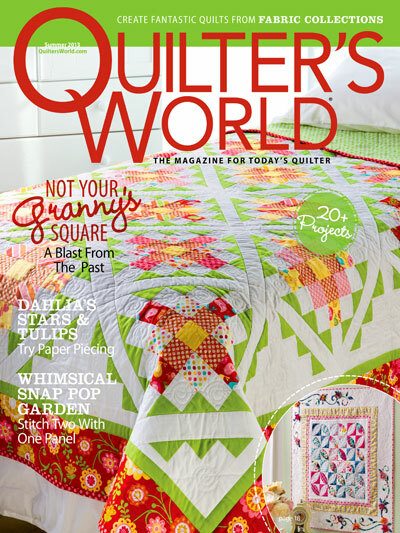 :) In my few shorts years of quilting, I have found that quilters are very innovative people. 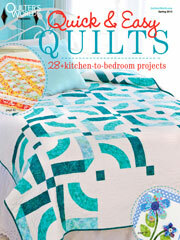 They are always coming up with clever ideas with the sole purpose of improving the art of quilting! Have a great day, my friends. Blessings to you all. 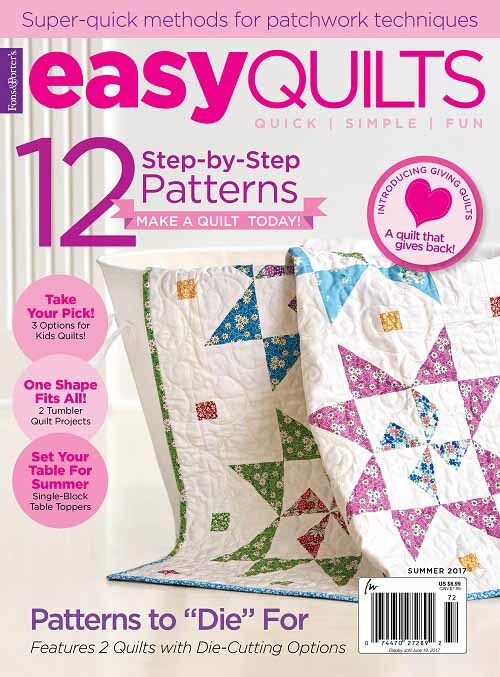 This entry was posted in Freebies, Ideas, Tutorials, Quilting, Thread Talk and tagged Free-motion quilting tips. Bookmark the permalink. ← Dancing Daffodils made the COVER! your quilting is always stunning. 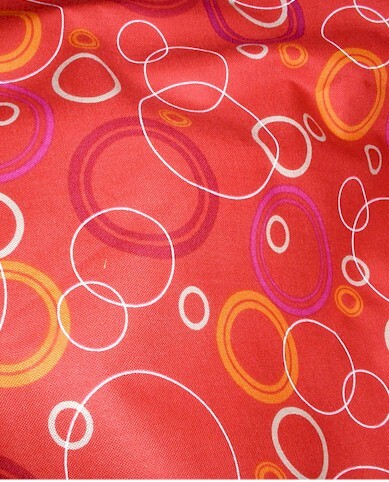 I would love to get a long arm…but so afraid I won’t be able to do the quilting once I get a machine. any recommendations on what to get …etc?? Thats a great tip WNedy thanks for sharing. The scrabeel one looks fantastic! This is great! I am going to try that, thank you! Oh…love the tips you give on your blog…..
What a great tip. I usually draw lines with chalk or use the blue pen on my quilts, but the freezer paper seems like a great idea. Hi, Wendy, thanks for sharing on the freezer paper idea, good stuff! You [u]are[/u] the “good stuff” girl. I like your scrabble quilt, too. I play bookworm sometimes. Hi Wendy, I will try the circles. I have used freezer paper before to do stars on a quilt but never thought about the circles. Do you have a trick for spirals? Thanks for sharing your tips! Thank you! I teach this method in my quilting classes, but often forget to use it myself!!! LOL. 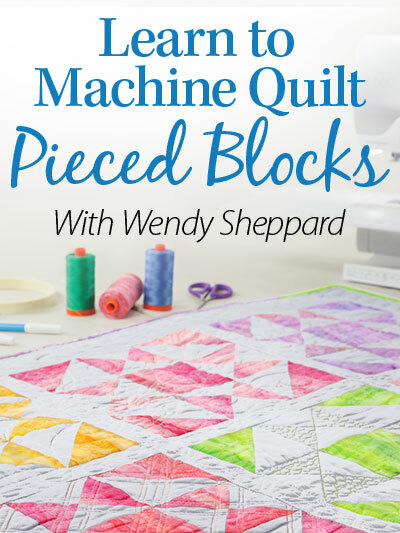 This is one of the best tips ever, Wendy – I’m going to give this a try! Thank you! Well I will be a monkey’s Uncle, I have used rolls and rolls of freezer paper since I started to quilt but never in a million years have I heard this. You are a genious. I still want to be just like you when I grow up. LOL You won’t hear from me for a week or so am off on our first cruise. Hugs and keep stitching. ;)Oh by the way I love circles.. I love this method. I used it on a fisherman themed quilt to make some fish shapes. Thanks for the reminder, it has been a while! Great tip Wendy. 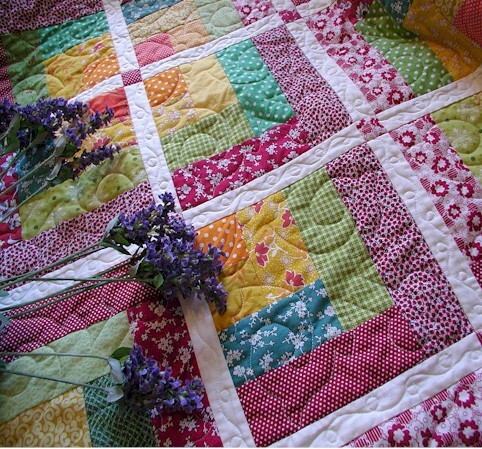 Your Dancing Daffodils quilt look fabulous! Sounds like a neat tip! Wendy I love this idea of using freezer paper as a temporary template. I just quilted a large tote for my daughter-in-law using your methods, it came out beautiful! Your teaching reaches many places. I’ve also seen this trick done to outline a basic shape before filling it in with thread painting. Outline the shape, pull off the freezer paper, then thread paint inside the outline. You are totally amazing. I love this about how to quilt. I am going to quilt my first quilt sometime over this weekend, as soon as the top is finished which won’t be long as all the blocks are sewn and I’m just sewing on the sashing and those little block things.